Over the past few years, mobile commerce has occupied the center stage in online shopping. Statistics has revealed that interaction of mobile shoppers has increased considerably with ecommerce brands. The number of smartphone owners is increasing day by day and so is the number of online purchases made through mobile devices. Also, there is no dearth of ecommerce brands and everyone is competing against others to provide a rich and gratifying user experience to the customers. In such a scenario, which isn’t going to change in near future, m-commerce has received immense prominence as an excellent strategy to boost businesses. Long gone are the days when people used to browse stuffs on their desktops. Now everyone carries mobile devices and prefer using them as their personal shopping assistants, using which they can compare shops, find deals, check product ratings and reviews and do many more such activities. 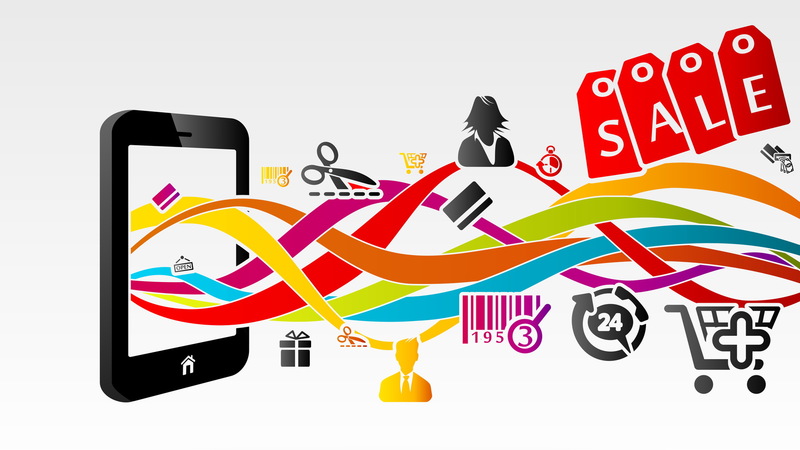 The advent of m-commerce has largely transformed the facet of retails. Let’s see what other transformations m-commerce has brought along. With online marketplaces like Amazon and Flipkart in your pocket, you can shop anytime and anywhere. Viewing products from multiple brands and selecting among so many desirable options make shopping immensely convenient and enjoyable. Be it a requirement or a whimsical wish, m-commerce gives you the power to buy anything in an instant. With m-commerce, price comparison between brands and marketplaces has become unbelievably easy. You don’t need to go through the tedious and time taking job of surveying markets for pricing of specific products. Now all that can be done from the comfort of your home within minutes. This is also encouraging the brands to enforce manufacturer approved prices. Price comparison has become an easy job and most of the mobile shoppers tend to look for reviews before buying a product. Be it before purchasing online or before picking it up from a local vendor, buyers prefer to go through the reviews. M-commerce has also made it possible to have all the reviews under one roof or seeing all of them through a single interface. There are apps and websites that assemble all the reviews and display them together, making things easier for buyers. With the rise of m-commerce, a number of new and improved payment solutions have emerged. Now there is no need of physical cards and cash or of manually typing the credit card number and the shipping address. Improved payment solutions offered by Paypal or Amazon payments or digital wallets such as Google wallets are continually improving things, making payments possible just with a single tap. Once the user becomes comfortable, such payment solutions become preferable in every purchasing venture. With so many online marketplaces emerging with lucrative deals, competition in the market has become really tough. With the aim to provide the best user experience, companies are focusing more on designing responsive websites, that work equally well in all mobile devices. Focus on app designs has also increased to create user friendly yet attractive interface that retains customers and attract new ones. Instead of scanning through different brands, people now prefer online marketplaces like Snapdeal and Jabong, which offer products from multiple brands, along with prices and reviews. Getting so many options under one roof is always more preferable and this trend has provided a higher status to the online marketplaces. The two most important features of m-commerce are mobility and reachability. It’s offering easy purchasing solutions to customers defying geographical barriers and unavoidable circumstances. Although like every other trend there are certain risks involved, m-commerce has still been embraced by the people for the convenience and rewarding deals it offers and this accounts for its evident rise in the recent years.